A 35-acre naturally farmed vineyard, boasting a unique terroir of white volcanic ash, nestled in a small valley at the base of the Stag’s Leap Range. Originally a land grant to Salvador Vallejo, the original parcel was purchased by Dr. Pettingill in 1870. Dr. Pettingill was a globetrotter and bon vivant but he is also known to have been a dentist, brewer, winemaker, and horse breeder; a character bigger than life, impassioned by science and the land. The vineyard he planted was one of the earliest plantings in Napa Valley. In 1871, using only a hand saw to cut the white rock he quarried from the property, he constructed a winery in which he would process 7,000 gallons of wine per year. Dr. Pettingill also designed two cellars, where he began the tradition of bottle ageing his wine for 4 years before release- a method we still proudly practice at White Rock. 14 acres of Chardonnay in the valley floor, comprised of diverse plantings of Clone 4, 96, 76, and old clones of both Wente and Martini, with the oldest vines dating back 35 years. Cabernet Sauvignon is planted on both sides of the steep valley hillsides. The hillsides are planted predominately to clone 7, with a small amount of clone 337. Additional plantings of Merlot, Cabernet Franc, and Petit Verdot complete the Bordeaux varietals; with Syrah, Malbec, and Viognier selectively placed for the limited production of single varietal wines. Because we practice natural farming, the estate has never been subjected to herbicides, pesticides, or fumigants. In the winter we plant “green manure” crops such as bell beans, rye, and clover, which help to nurture the soil through the cold wet months. Vine spacing and trellising were designed from the start to produce loose clusters that hang freely in a light, aerated canopy which reduces the need for chemicals and improves the ripening process. As the property is passed through generations, the family will strive to remain responsible stewards of the property that is its’ home. 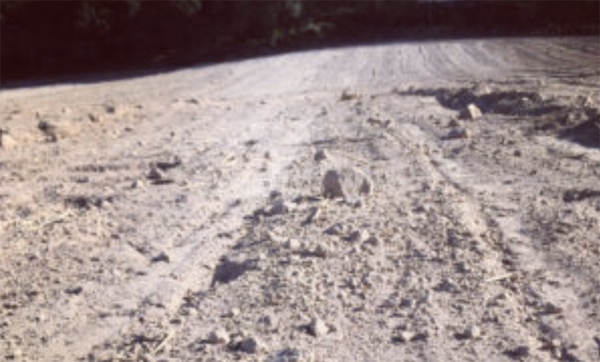 Situated on the eastern side of the Napa Valley approximately 300 feet above the valley floor, White Rock Vineyards is defined by it’s volcanic soils and bedrock. A 64-acre valley shaped over millennia to form a natural bowl, the soil substructure is compressed volcanic ash, holding little nutrients, and yielding small berries which produce deep, intense, and rich concentrated flavors. In 1987, the Vandendriessche family bored a 6,000 square foot cave into the volcanic hillside of White Rock Vineyards. Henri worked with Engineer Alf Burtleson, who later designed caves for FarNiente, Newton, Pine Ridge, and Robert Sinskey, among others, using an old coal mining machine. 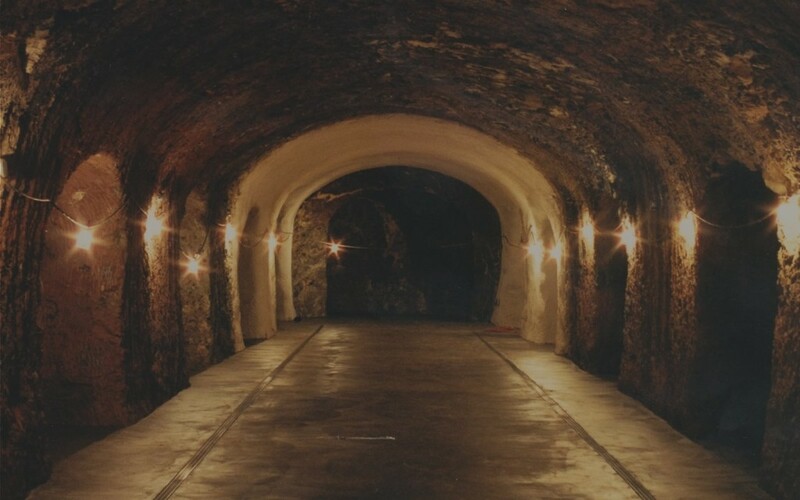 A constant 60 degrees, the cave provides the ideal temperature for the production and cellaring of quality wines. Unique to White Rock, Henri designed a series of niches in the caves, where all red wine is stacked and aged for 2-3 years after bottling. Each niche holds between 4-6 thousand bottles, allowing White Rock to cellar 45,000 bottles at any time. The style of the wines produced at White Rock reflects the values that the Vandendriessches have cultivated their entire lives – balance, complexity, intensity and ageability. With an average of 20-year-old vines, the estate is low yield with an average of 2 tons per acre. The tiny berries, hand-harvested by our team in small baskets, are intense and concentrated, consistently displaying bold tannins and strong mineral characteristics, due to the volcanic ash soil.